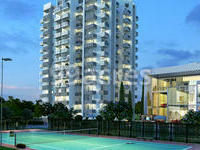 ROF Aalayas is one of the residential developments of ROF Group, located in Gurgaon. The project offers 1BHK and 2BHK apartments. It is well equipped with all the amenities to facilitate the needs of the residents. What is the location of ROF Aalayas?The location of the project is Sector-102, Gurgaon. What size of flats are available in ROF Aalayas? 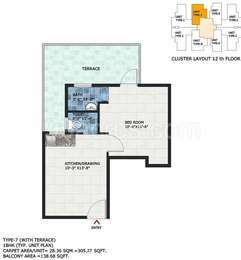 The apartment sizes in the project vary from 301.0 sqft to 950.0 sqft. 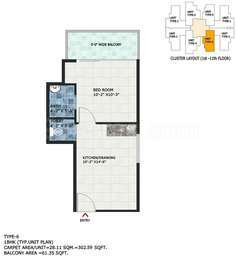 What is total area of 2 bhk in ROF Aalayas?  The area of 2BHK units in the project varies from 482.0 sqft to 950.0 sqft. 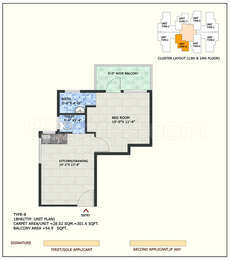 What is total area of 3 bhk in ROF Aalayas? 3 BHK units in the project are available in a size of 745.0 sqft. What is the total area of ROF Aalayas?The project spans across 5.0 Acres. ROF Infratech and Housing is a rapidly growing real estate company and has constructed numerous quality projects since its inception. It strives to provide the best real estate solutions related to purchase, rent and lease of high-class properties to its valued customers. It aims to make reasonable priced properties accessible to customers. The company is driven by the vision to become a leading developer with its presence across all corners of the country. I am interested in investing in ROF Aalayas. What are the ongoing rates and the current construction status? Will property investment lead to good profit in long term? Hi, investment in ROF Aalayas can give you decent returns in long-term, as the property is located in proximity to the upcoming Dwarka Expressway. Since launch in 2014, this project has witnessed only 15 percent surge in capital values but, it is expected that the prices will rise once the project is delivered and owing to the excellent location [near Dwarka expressway], proximity to Pratham IT Park and developed social infrastructure in the locality. Advise you to check out Emaar Gurgaon Greens before taking the final call for investment. Hi Rajan, ROF Aalayas is HRERA approved project. The construction is in full swing with tower structures ready but, a lot of work is still pending, and it is expected that the builder might delay the delivery. But it will be completed by early 2019. The ongoing rates are much lower than the locality rates and ranges between Rs.3000-3300/sq.ft. What are the schooling options near ROF Aalayas? Does the locality has metro connectivity? Hi, located in sector-102 of Gurgaon, the schools available near ROF Aalayas are Greenwood Public School [4.5 km], Lions Public School [6 km] and Sharda International School [6 km]. The higher studies institutes located nearby are IBMR, Dronacharya Government College. The locality is connected to a metro station, but the nearest metro station is Huda City Centre located 16 km away.